UP Board Class 12th Business Organisation: Model papers are being provided here for a thorough revision. 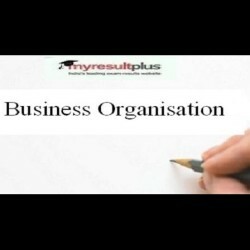 The Business Organisation is one of the most important subjects for class 12th students of UP. Therefore, students should prepare this for sure. The sample paper is given here along with the tips which are very useful for students of the UP Board of Examination, Class 12th. A) A small payment made by shippers to the captain of a ship for his special care of their. B) A person who is contractually bound to a worker. C) An individual who was hired by an employer to do a specific job. D) An individual who works part-time or full-time under a contract of employment. Question 2: Fill in the blanks. ________ is a file or catalog consisting of cards on which information has been entered so that desired items or data can be readily found. Question 3: What is Dunning Letter? A) A dunning letter is a notification sent to a student, stating that the customer is overdue in paying an account receivable to the sender. B) A dunning letter is a notification sent to a customer, stating that the customer is overdue in paying an account receivable to the sender. C) A dunning letter is a notification sent to a lover, stating that the customer is overdue in paying an account receivable to the sender. D) A dunning letter is a notification sent to a teacher, stating that the customer is overdue in paying an account receivable to the sender. Question 4: What do you mean by Chamber of Commerce? A) A chamber of commerce (or board of trade) is a form of business network, for example, a local organization of businesses whose goal is to further the interests of businesses. B) A chamber of commerce is a group of students in a school. A machine used to stamp an official mark on a letter or parcel to indicate that postage has been paid or does not need to be paid. B) An agreement which is made with a view to improving the profit. C) Group of two or more companies. Question 5: What do you mean by Capital Market? A) A financial market in which long-term debt (over a year) or equity-backed securities are bought and sold. B) Place of business where professional or clerical duties are performed. C) A register is maintained to keep a record of all outward letters. D) Place of business where professional or clerical duties are performed. Question 6: Fill in the blanks. MUDRA Bank stands for _________. Question 7: What do you mean by Franking Machine? A) A machine used to stamp an official mark on a letter or parcel to indicate that postage has been paid or does not need to be paid. D) Creation of a new company by a complete consolidation of the combining units two or more companies. Question 8: Fill in the blanks. _______ is the rate at which the central bank of a country (RBI in case of India) lends money to commercial banks in the event of any shortfall of funds. Question 9: What is the full form of JIO? Question 10: Fill in the blanks. The activity of promoting the sale of goods (especially by their presentation in retail outlets) is called __________.